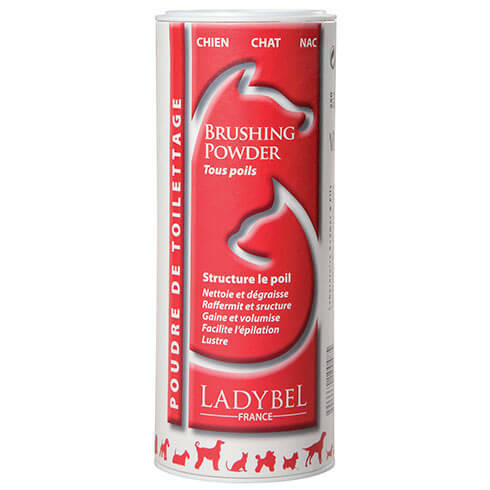 “Brushing powder” is a dry shampoo and conditionerbuffer. Cleans and maintains the coats of all breeds of dog and cat and other small pets and those that should not be bathed too often. Cleans, degreases, deodorises, waterproofs, brings lustre, revives and purifies colours. Gives texture and volume to the fur. 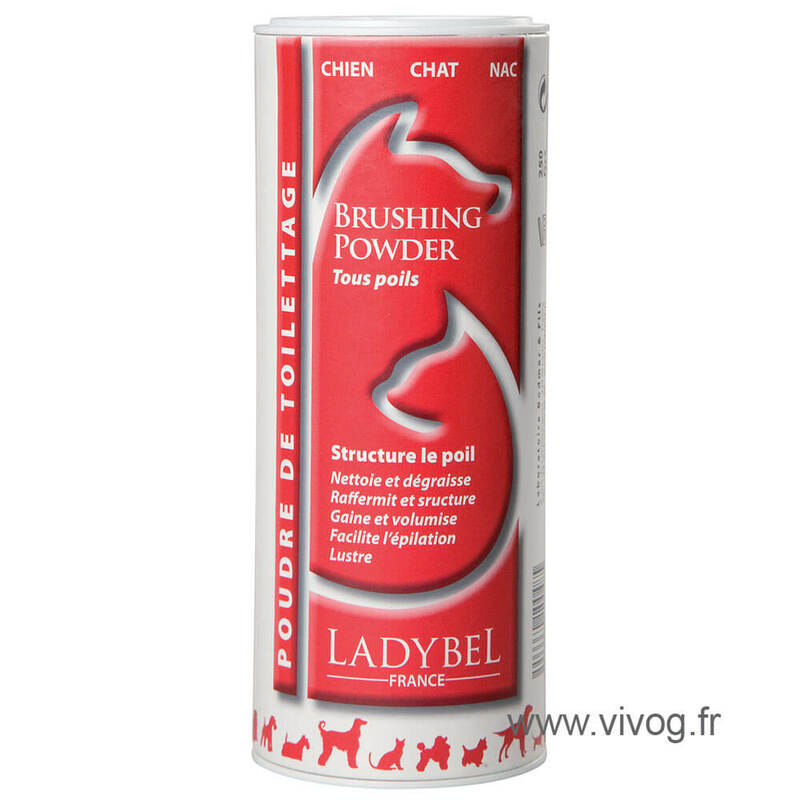 Facilitates detangling and epilation, and prevents the fur from felting.